ONLY monkey pictures in this post !! 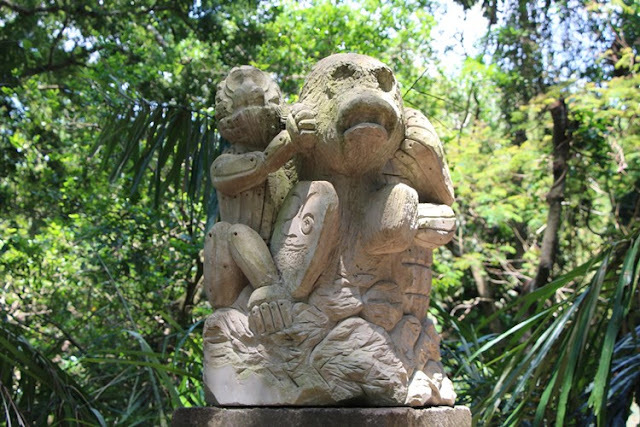 If you bring kids along to Bali, bring them to this Monkey forest at Ubud, I am sure they will have a lot of fun !! Our first meal when we arrived Bali (it was quite late at night ) was at Ayam Tulang Lunak Malioboro at Kuta. I think this restaurant is quite famous among the tourists as i have been seeing in many blogs posting about this restaurant for their famous pressurized cooked chickens resulted very crispy chicken until you can eat the bone. 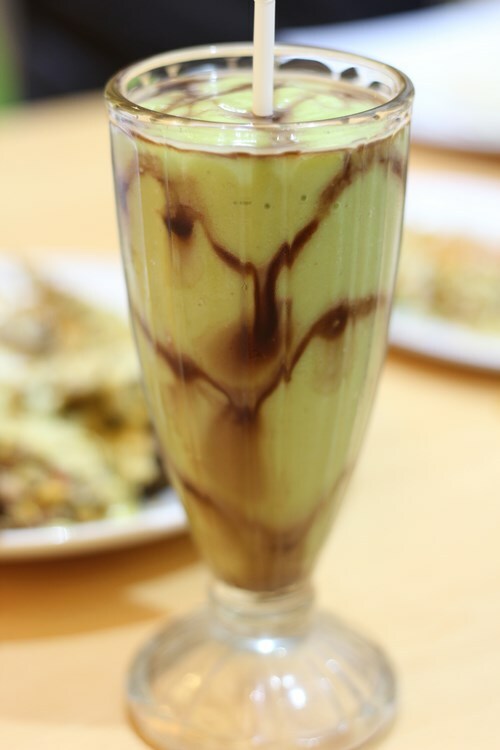 And our first time tried this famous Avocado with chocolate juice.. 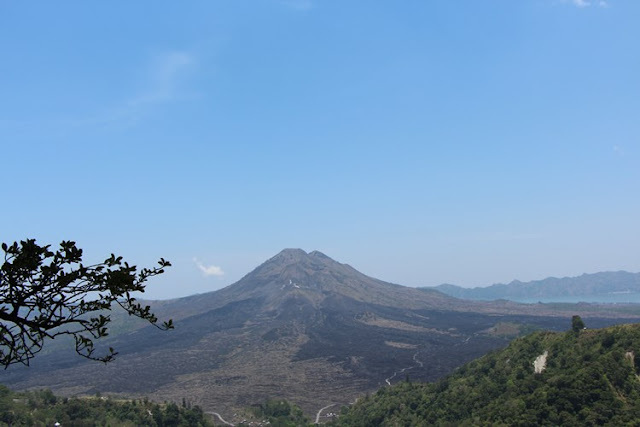 This was our first time view an active volcano, Mount Batur and Lake Batur are located at Kintamani area. 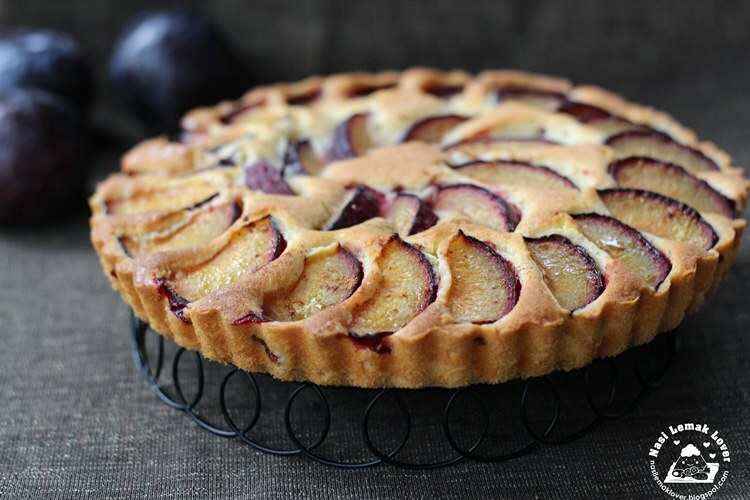 I made this Italian plum cake yesterday with plums from South Africa, it was like butter cake bake in tart or pie pan with some stone fruits..Nevertheless, it was nice and buttery ! After this post, I will go off for another "tumpang trip" , and back after a week.. 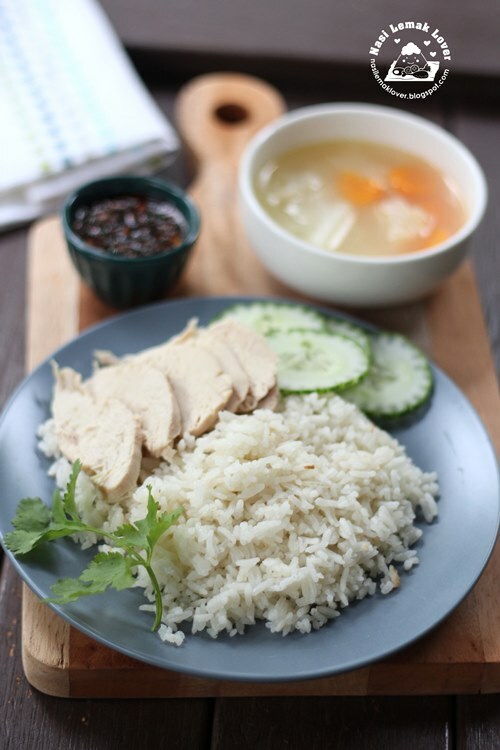 If you have been to Thailand, you should know that they have very nice chicken rice. We missed to try Thai chicken rice during our trip to Bangkok. Anyway, we managed to try Thai chicken rice when we crossed over to Thai border from Kelantan the other day (I hope to update the Kelantan trip soon) . Actually only my husband ordered this chicken rice, my kids and I were ordered beef noodles instead (not bad either). 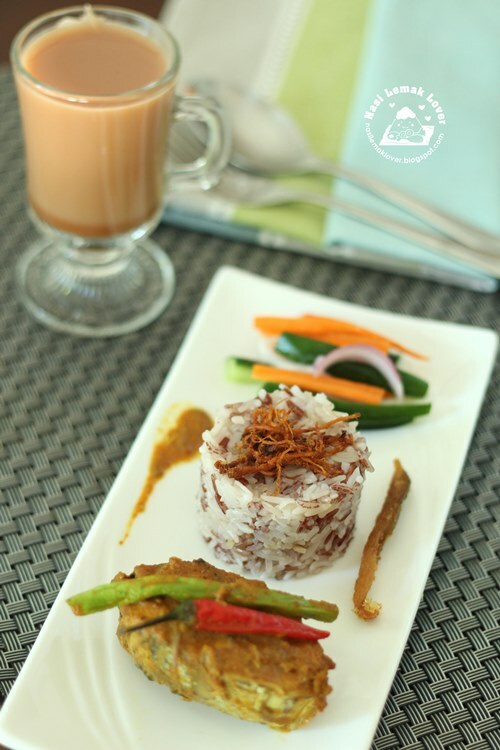 And my husband told us that the chicken rice was very nice, so we packed two back to hotel and we all fighting for this yummy chicken rice, hehehe..
Another recipe that has long list of ingredients and it took long hours to prepare. I bought 1kg of beras Dagang from the recent Kelantan trip, wanted to try my hands with home cooked nasi dagang and gulai ikan Tongkol. I have been wanting to make a basic chiffon cake using pure vanilla bean and same time can try out a new chiffon pan (a slim and tall chiffon tube pan ) that I bought since last year. 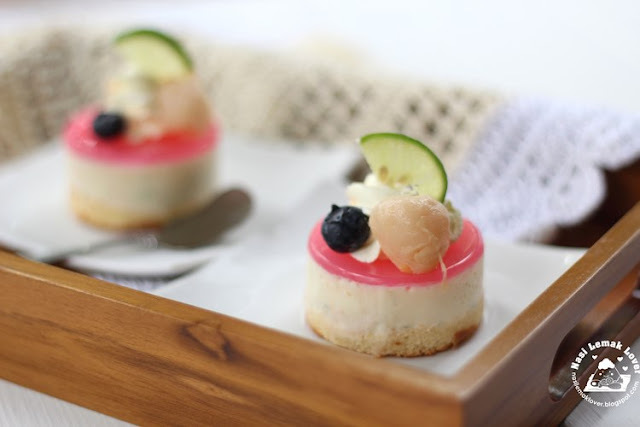 I "die die" also baked two mini vanilla chiffon yesterday, even I was very busy, hehehe..Also in this post, I am also sharing the basic techniques (even I am not that expert ^__^) on how to handle chiffon making for benefiting to new home bakers..
A chiffon using pure vanilla bean is so fragrance and nice!! 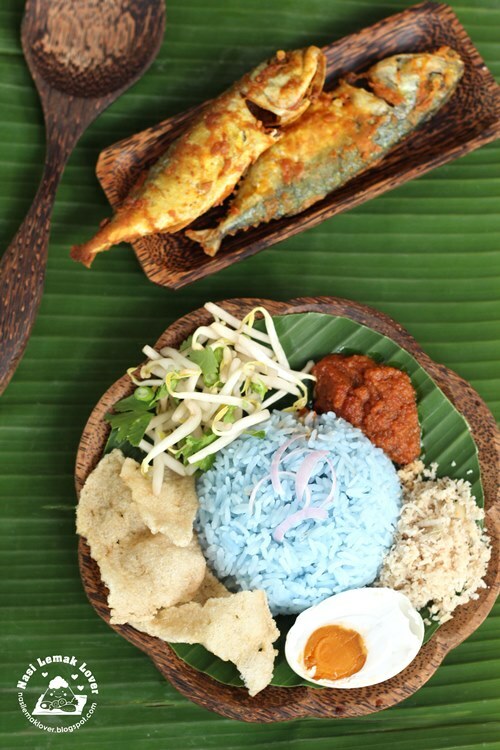 I brought some keropok ikan (fish crackers) from the recent Kelantan trip, so it is the best time for me to prepare nasi kerabu and i prefer blue nasi kerabu as it look so outstanding and beautiful. I was so impressed with my friend Gertrude (My Kitchen Snippets) prepared her nasi kerabu with so many side dishes. I was thinking to do like her. But the end i have to gave it up because i realized that it is too time consuming because have to deep fry crackers, boil salted eggs, pounded the spice ingredients, cook rice, tumis sambal, deep fry fish, cutting salad & etc.. I have to drop the idea of prepare roast meat and Ayam Percik (special roast chicken). In fact, i spent the whole afternoon just to prepare this nasi kerabu. Anyway, we were really enjoyed this home cooked nasi kerabu !! And i was impressed how tasty the Kuah tumis and sambal kelapa that i adapted from Azie kitchen, Thanks Kak Azie !! 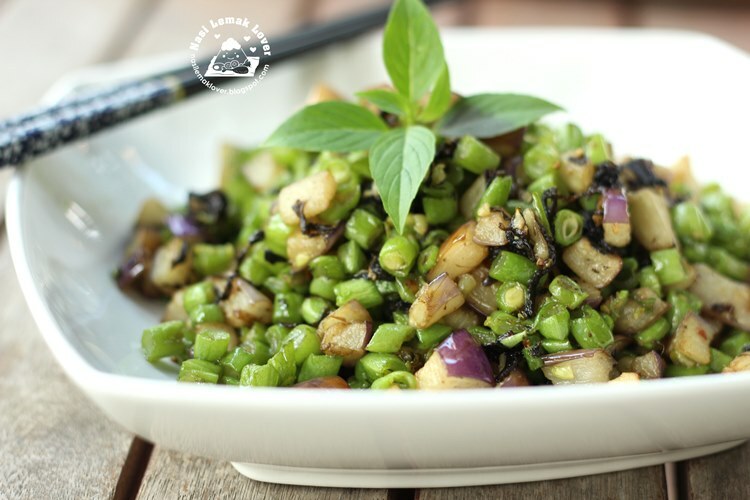 I was introduced to Chinese preserved olive vegetables 橄榄菜 when we ordered a plate of stir fried green beans with Chinese olive vegetables in a Chinese restaurant the other day. Since then, I will order this dish whenever we taking meal in outside Chinese restaurant, because my kids simply like this dish a lot. And I also quite often cook this dish at home. This time, I was using the same ingredients but make a new twist by adding eggplants, it taste good too. 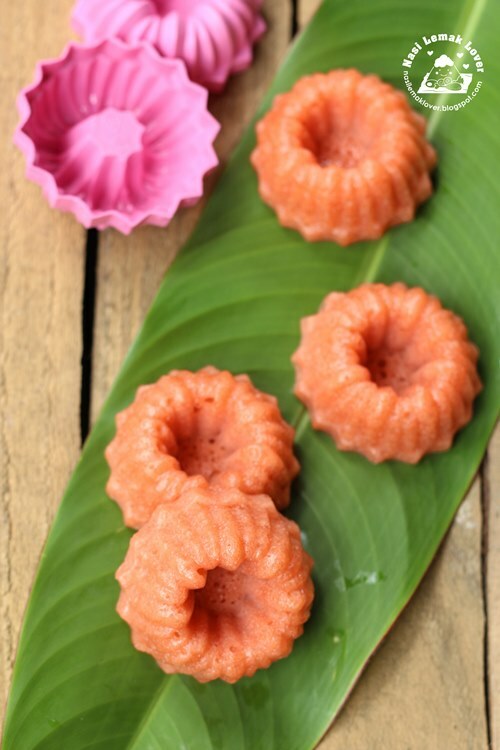 Nowadays every 'Qing Ming' festival (visit to grave yard to pay respect to ancestors), I prefer to prepare homemade cake or kuih to bring over to graveyard. 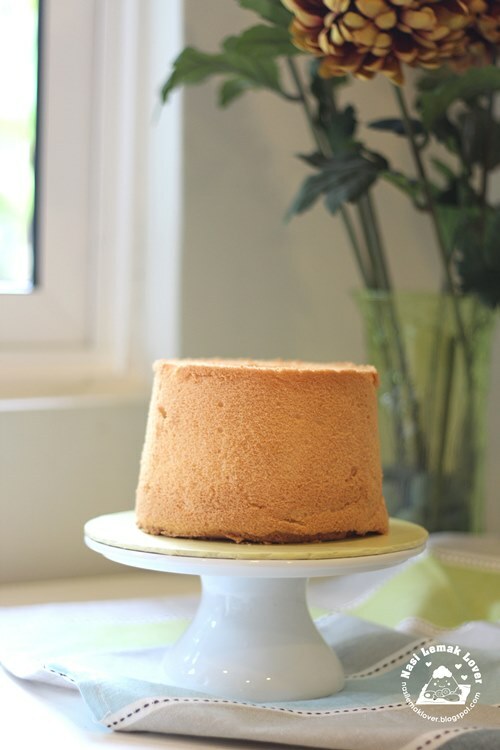 This time I made a new rice cake, that using cooked rice, and it taste quite similar to Chinese steamed white rice cake ( 白糖糕）, very nice rice aroma, soft and has slight QQ texture !! Thanks to Zila for kind sharing. Daun Kaduk- Shape-round, shinning, soft and smooth surface , taste a bit lemony then followed by bitter taste, but surprised after cooked, it taste so nice. 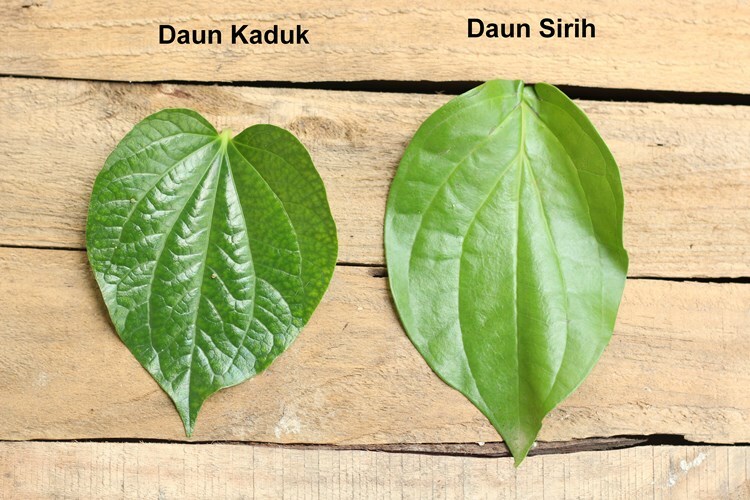 Daun Sirih- Shape-same shape like daun Kaduk but longer, dull and a bit rough surface, taste mint aroma, followed by bitter and hot, numb the tongue. Deep fry Daun Kaduk (Wild Betel leaves) can be tasted so aromatic, and dip it with this Tomato & Shallots dipping sauce, they are just so perfect. My kids who are not fancy on eating leaf ^_^ also eaten until non-stop. This is my version of crispy batter. 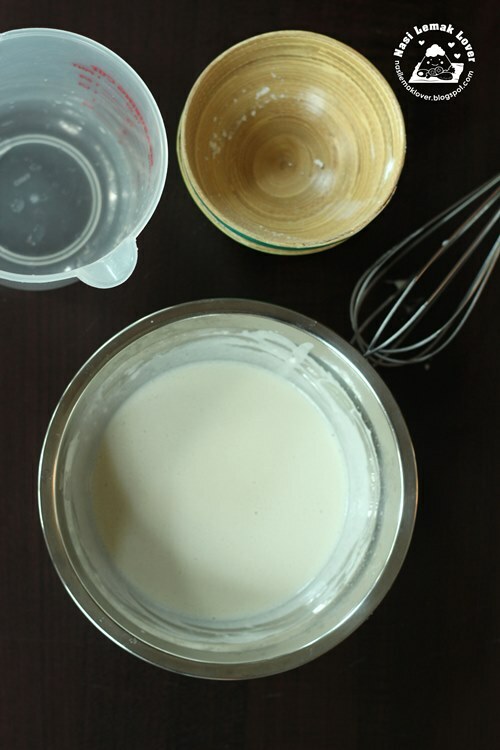 This batter is suitable for thin coating especially for deep frying vegetables. I guess this batter is good for Japanese Tempura too. 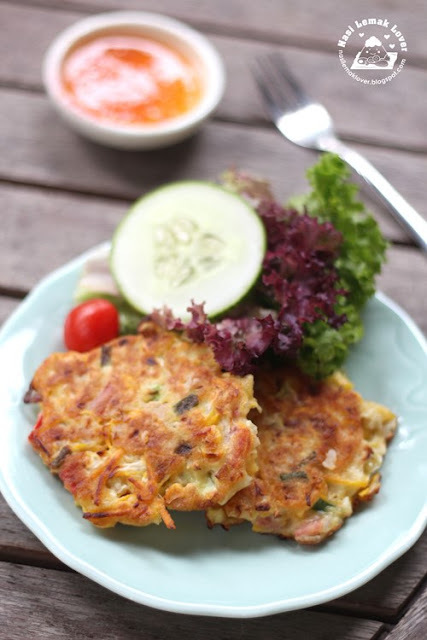 The other day I made this simple and tasty savoury pancake for lunch..Basically I just modified from the earlier Japanese savoury pancake Okonomiyaki recipe. 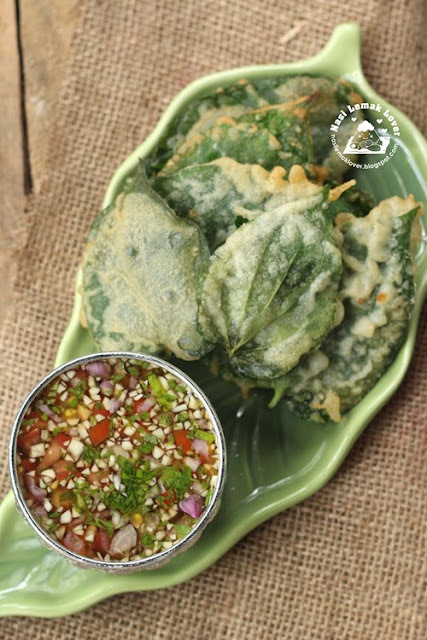 After I tasted with deep fried daun kaduk (recipe coming soon), and I realized that daun kaduk (betel leaf) can be tasted so nice, no raw or bitter taste but very fragrance instead. 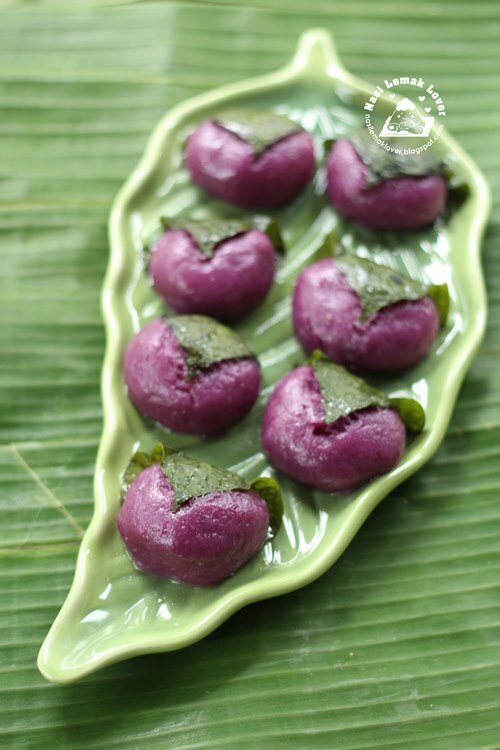 Since then, I starting to figure out new ideas to using daun kaduk to make into sweet kuih-muih (local cakes & snacks). I never came across local peoples using daun kaduk making into kuih-muih but usually they made into savoury dishes. I always admire Japanese peoples on their creativity, why they can use sakura leaves to make into various sweet and snacks e.g sakura mochi..So today I proof that our local herbs can be using to make nice kuih too..
As I know, daun kaduk is not 槟榔叶 (mostly consume by Indian community) even though they are come from the same family. From what I found here, Chinese name should be called as 萎葉 (see link here) ..correct me if I am wrong..
Actually I am not intend to make any post today. 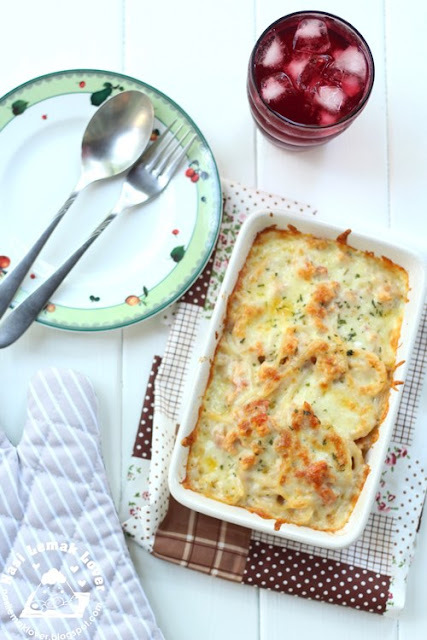 Mui Mui -My Little Favourite DIY yesterday message me that her Tomato event will only end by 4th Apr, ask me whether anymore tomato post to submit..So as to support her, I post this baked pasta with cheese which I encore from my previous post..My kids very often request me to make this pasta for them as they love the baked cheese on top.. I love today's post because don't need to write a long recipe ^_^..I bought some keropok lekor from Pasar Siti Khadijah from the recent Kelantan trip. 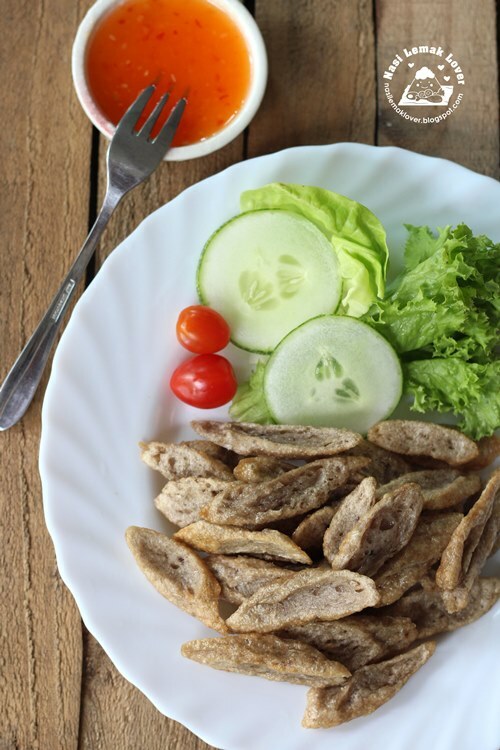 Keropok lekor is Kelantanese fish sausages. 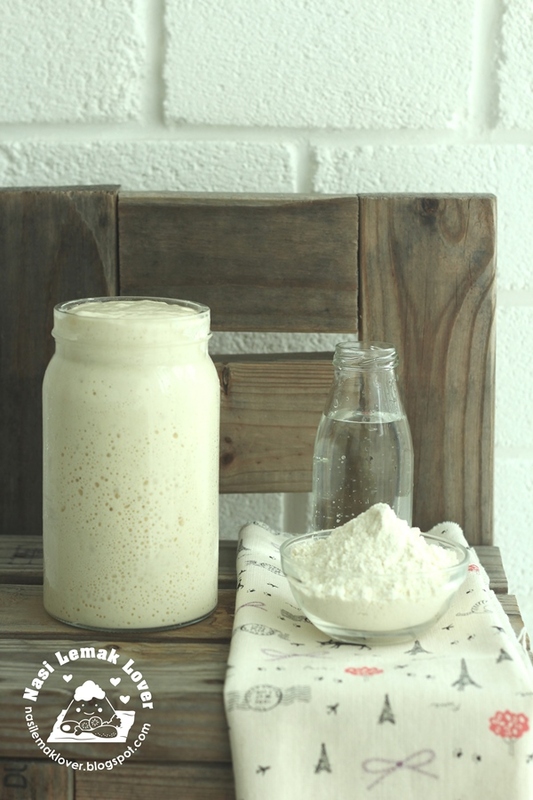 Made by combining fish flesh and sago or tapioca flour, keropok lekor is rolled into long firm sticks and then steamed or boiled. To enjoy it, one has to cut it into desired bite sized and deep fried. It is a popular schoolchildren's snack food. (info extracted from Wikipedia). This morning when I read My Kitchen Snippet's Malaysian Food Fest (MFF) Kelantan Month post, and I realized that we have actually tried few of the dishes and kuih-muih that mentioned in her post. Today I would like to share these two restaurants that mainly serve local Kelantan foods. This plate of rice is Nasi Kerabu with white rice, thinking to try blue rice but I guess at that time it was out of stock.